PNNL: Staff Highlights: Providing International Guidance to Achieve Remediation "End States"
PNNL’s Mike Truex is leading an international team in the development of an International Atomic Energy Agency (IAEA)-sponsored guidance document to transition contaminated sites through the remediation process and toward end states, or the final disposition and use after cleanup has been completed. 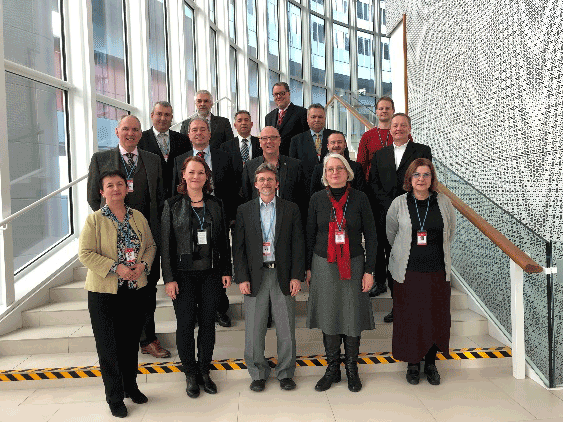 The document, “Determination of Environmental Remediation End States" (DERES), is being developed by IAEA member countries. In addition to the United States, participating countries include Armenia, Bulgaria, Canada, France, Lithuania, Norway, Portugal, Romania, Serbia, Spain, Tunisia, Ukraine, and the United Kingdom. “Our responsibility in creating this document is to make sure users have a good framework and decision logic that will help facilitate the cleanup process toward an end state,” Truex explains. The finished DERES product will provide a framework that any country or other entity can use to inform key decisions for addressing the future of radiologically contaminated sites, as well as understand the many factors that influence such decisions and the level of resources it could take to complete the job. Envisioned audiences for the document include site owners/operators, regulators, policy- and decision-makers, stakeholders, and other interested parties. Interest in DERES is significant. In October 2018 at U.S. DOE Headquarters, Truex was invited by DOE to give an update on the document to staff involved in performance assessment activities, which have linkage to end states and other aspects of DERES. 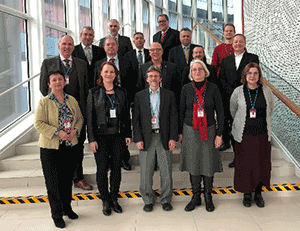 During the same week, he was invited by the IAEA to provide a remote web presentation to an audience of international environmental professionals, also to build awareness of the DERES effort and deliver a status update. Truex believes the final product will be of value to the U.S. and many other nations around the globe. He notes that countries facing the prospect of addressing contaminated sites or other environmental issues routinely seek out such documents to understand current perspectives and methods.